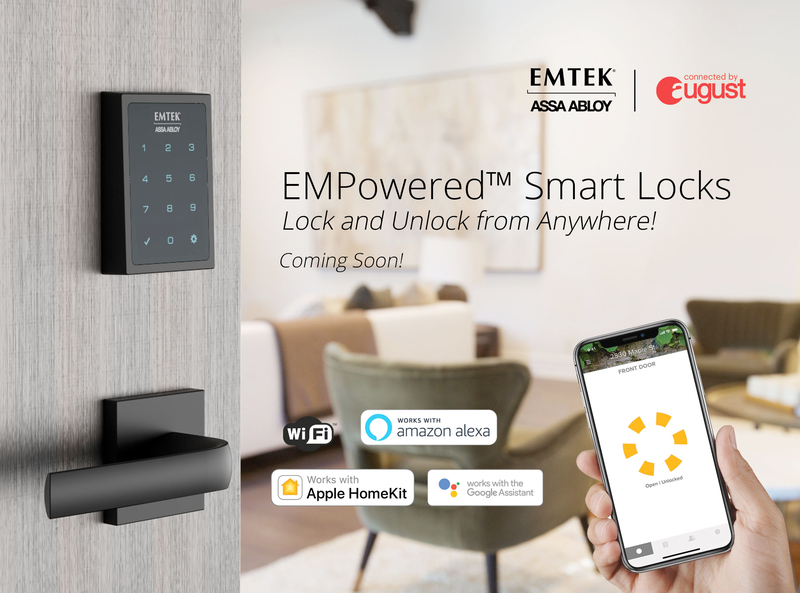 Control From Anywhere - Includes the August Connect Wi-Fi Bridge so you can lock and unlock from anywhere using your August app. Share Access - Grant access to your home for the people you trust. Give permanent access, temporary access or set a unique access schedule. 24/7 History - See who comes and goes with smartphone notifications and a 24/7 access history in the app. Use Your Voice - Works with the three leading voice assistants; Amazon Alexa, Google Assistant and Siri. Auto-Unlock - Auto-Unlock knows when you arrive and unlocks the door as you approach. Never fumble for keys again. Auto-Lock - Enable Auto-Lock and never worry if your door is locked again. Auto-Lock can be set for immediate or on a timer for as short as 30 sec or as long as 30 min. Comes with August DoorSense™ - Know if your door is not only locked or unlocked but also closed or opened. Works with August Doorbells - See who's at your door and unlock the door right from your August app.